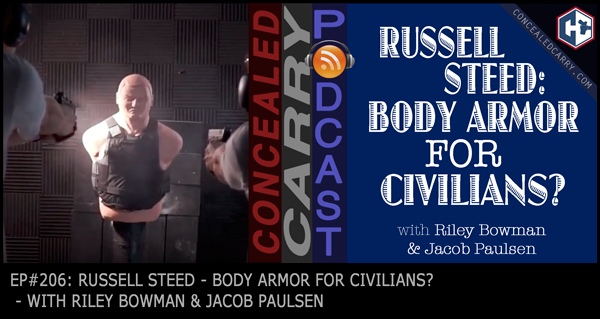 Topic: Russell Steed – Body Armor for Civilians? Today Riley and Jacob talk about body armor and the options that are available on the market particularly for civilians. We will be talking with Russell Steed, President of Citizen Armor about some of the laws regarding body armor. Plus we'll talk about some of the exciting technology that is hitting the market making body armor even better, safer and more affordable! 3 Responses to Episode 206: Russell Steed – Body Armor for Civilians? Is there a transcript I can read? I’m hearing impaired. Thank you. Larry, not currently but that is something we have discussed.